Stay in Rügen's best hotels! High above the Baltic Sea on the island of Rügen, this hotel offers a large spa and a gourmet restaurant. The hotel is in a good location, near to the main interest points in Sellin. It's very clean (the cleaning and laundry staff is excellent) and the pool/saunas areas are nice and cozy. The breakfast is really rich and served until 11am, which is great. The complimentary snacks and drinks are very welcoming. All the staff members are very attentive and polite. Located in Binz, Hotel meerSinn has a fitness center, spa and wellness center, terrace, and free WiFi. Popular points of interest around the property include Pier Binz and Historic Binz museum. Interior design is absolutely up to date and fresh, comfy and no compromises versus current city current trends of coffee shops on high streets. Location is perfect, easy access everywhere, right combination of town liveliness and seaside quiteness. Absolutely convenient to get to all attractions and grocery's just vis a vis Hotel entrance. Little kitchenette in a room, coffee maker - great. This hotel is located in Prora, on a long stretch of beach on the island of Rügen. It offers a restaurant and a bar. DORMERO Strandhotel Rügen offers contemporary-style rooms and suites. Location is good, plenty of space in the rooms, staff were very helpful. Will stay again in the future. This hotel is a beautiful villa that is located only 164 feet from the beach promenade in Binz. Hotel Villa Meeresgruss is quietly located in the historic center, and it offers free WiFi. Very central, well-equipped apartment with dishwasher, clean and tidy, nice atmosphere. Good and tastefully served breakfast. Good restaurants nearby and an excellent supermarket. Recommend the pub/restaurant Dolden Mädel which is around the corner for those who want a good beer experience Very nice host couple. Offering an indoor pool, the family-run Hotel Godewind is located in Thiessow on the island of Rügen. The sandy beach is only 722 feet away. All in all a very nice place. Friendly staff, good selection at breakfast. Featuring apartments and suites with free Wi-Fi, this family-run hotel is located in the town of Binz on the Baltic Sea coast. The sandy beach is just 1640 feet from Oma's Küche & Quartier. Bicycle rentals are offered at this hotel, located 492 feet from the sandy beaches of the Baltic Sea. The hotel a spa area with a sauna and a solarium, and WiFi is free in all areas. Free Wi-Fi and romantic beach-style accommodations with spacious wooden balconies are offered at this family-run hotel, 2953 feet from the Baltic Sea beach. The owners of the hotel were especially friendly and helpful. This property is located 1.9 mi from Bergen auf Rügen Train Station and 2.2 mi from the Bergen Town Museum. Gutshaus Kubbelkow offers free WiFi, rental bikes and an à la carte restaurant. The ambience is great, makes you feel like an old aristocrat. Overlooking Binz’s sandy beach on the island of Rügen, this 4-star-Superior hotel offers elegant rooms, a large spa area with a saltwater pool and free WiFi in all areas. It was an amazing experience from the very first till the very last minute of our stay. This accommodations is quietly located in the heart of the historic Baltic Sea resort of Binz, a 1-3 minute walk from the fine sandy beach, the strolling mile, cafes and restaurants. The hotel location was great and and the staff very friendly. Centrally located along the popular high street of the Baltic seaside resort of Binz, this attractive, modern hotel is only a 2-minute walk from the beach and the pier. The hotel was in a great location on the main street. It was less than a 5 minute walk to the beach. In-house thermal baths and panoramic Baltic Sea views are offered at this hotel, located above Sassnitz Port on the island of Rügen. Sassnitz Train Stration is 1640 feet away. Nice, friendly, and helpful staff. Everything was up to our expectations. This hotel is in the Ostseebad Binz seaside resort on the Baltic Sea island of Rügen, a 2-minute walk from the beach, featuring an attractive indoor pool with slide. Location was fantastic..direct in front of the sea. Modern wellness facilities and spacious rooms with free Wi-Fi are offered by this 4-star hotel, located on the beach promenade of the Baltic Sea resort of Binz. Nice clean room and excellent breakfast! 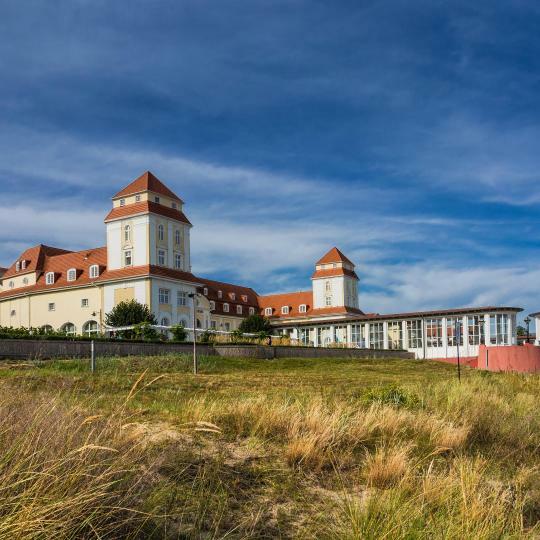 This hotel is located in Prora, on a long stretch of beach on the island of Rügen. It offers a restaurant and a bar. DORMERO Strandhotel Rügen offers contemporary-style rooms and suites. Location is good, plenty of space in the rooms, staff were very helpful. Hotel Schafshorn in Schaprode features 3-star accommodations with barbecue facilities, a garden and a terrace. All rooms feature a flat-screen TV with satellite channels and a private bathroom. Nestled between the stunning Jasmund National Park and the sandy Baltic Sea beaches on Rügen Island, this traditional-style hotel in Sassnitz offers a veranda with views of the harbor and free WiFi. Nice hotel facing the harbour. Great breakfast. 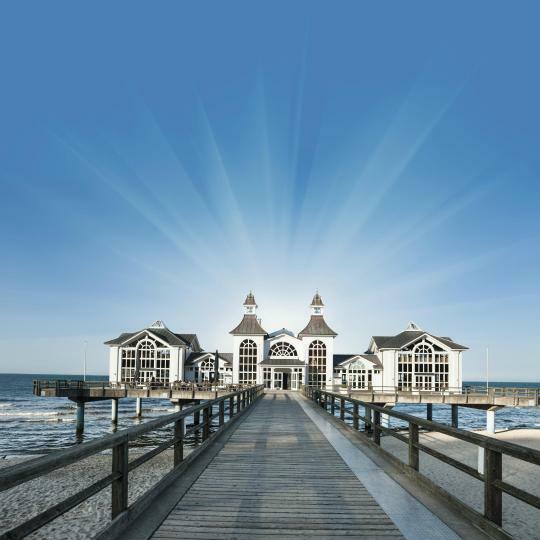 This hotel is ideally located directly on the Binz Pier, on the scenic island of Rügen. Hotel Esplanade features easy access to the coast, homelike comforts and Wi-Fi is available throughout. Directly located on the promenade, this traditional hotel in Sassnitz is just 197 feet from the shore of the Baltic Sea. Amazing location and fabulous breakfast. This family-friendly hotel enjoys a quiet yet central location in the heart of the historic Baltic Sea resort of Binz, a 1-3 minute walk from the sandy beach, strolling mile and cafes. Room was great. And location rwally good. Spa qas relaxing. 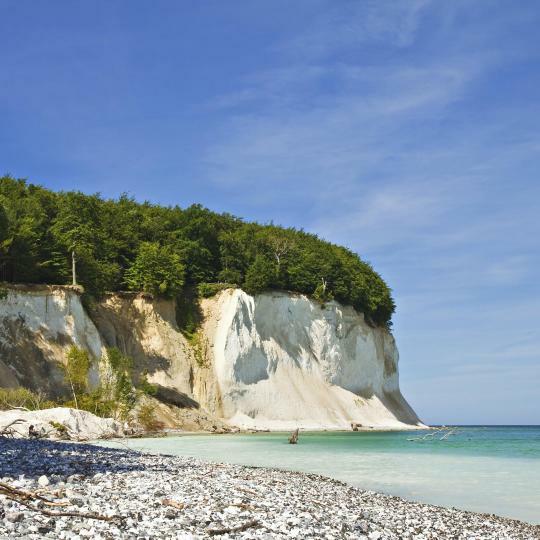 Featuring a private beach, sauna and gym, this hotel enjoys a quiet location in Dransk, on the island of Rügen. Guests enjoy free internet. The hotel had all you needed. Everything was easy to access. Beach, pool, bar and restaurants. Located on the Baltic Sea Island of Rügen, this hotel is a 1-minute walk from Lauterbach Harbor. It offers a wellness area with indoor pool, sauna and fitness center. Cleanliness is the most favourable part compared to the other parts. Located on Binz’s beach promenade, this villa offers elegant rooms and apartments. It features a regional restaurant with a stylish summer terrace, and free WiFi access is available. Very larg appartment with 2 balconies, big bathroom and close to the beach. Thishotel features a large spa with swimming pool and a courtyard terrace with wonderful lake views. It is located just beside the scenic Rügischer Bodden Bay. Unique hotel in beautiful landscape. Modern Spa, professional staff, excellent breakfast. An indoor swimming pool and sauna are offered at this family-run hotel. Hotel Meerzeit Binz is a short walk from the Schmachter See lake. Rooms at Hotel Meerzeit Binz feature classic décor. Staff very friendly and helpful. Room a little small but perfectly adequate. Great breakfast. Set amid beautiful landscapes in Moritzdorf near Sellin and Baabe on the island of Rügen, this family-run, 3-star hotel offers cozy accommodations, delicious regional cuisine and wonderful views of... Hotel Moritzdorf is a lovely family run hotel. As Rügen’s largest seaside resort, Binz is an oasis of long sandy beaches and chic shopping promenades. Stroll the distinctive pier ordine in a trendy beachside restaurant. 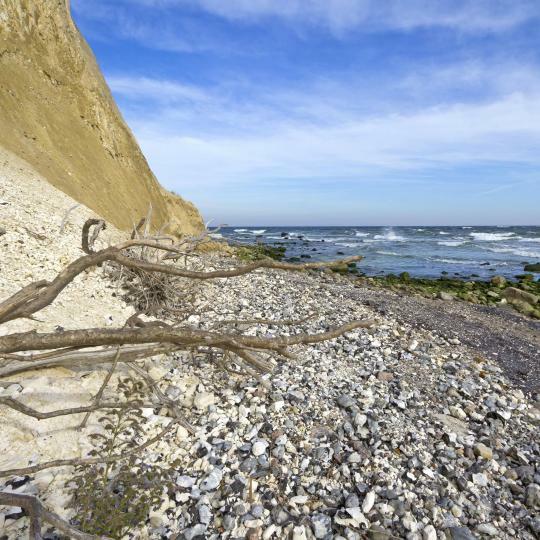 Cape Arkona and the nearby fishing village of Vitt have plenty to offer. The 2 ancient lighthouses and the Slavic temple fortress of Jaromarsburg, are must-see spots. Located in the Jasmund National Park, the Königsstuhl Rügen is a majestic sight. This 118 m high white chalk cliff contrasts against lush vegetation and the sparkling sea. Spiral your way up the impressive Baumwipfelpfad (tree top walk) at Naturerbe Zentrum Rügen. 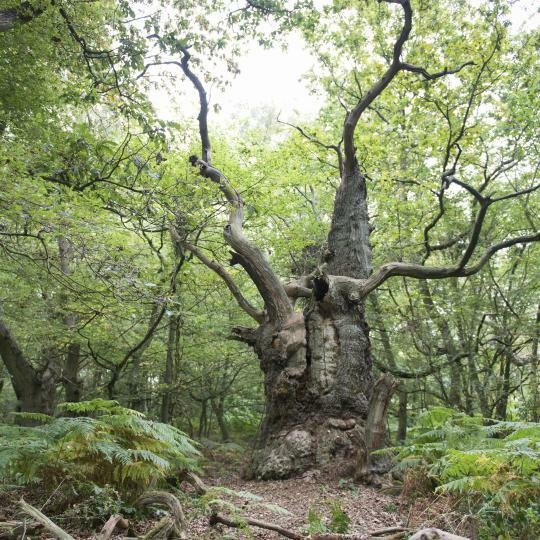 Ascend through the forest and over the tree line for panoramic views. Famous for its stunning pier and villa architecture,Sellin is a popular seaside resort. Brimming with natural beauty, you can sunbake on the beach or swim in the tranquil lake. The waterfront Fischräucherei Kuse restaurant has been serving up a classic seafood experience for over four generations. 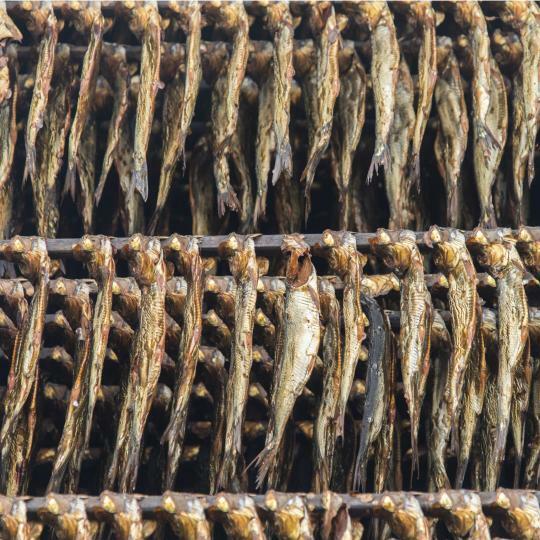 Snag the catch of the day or freshly smoked fish. 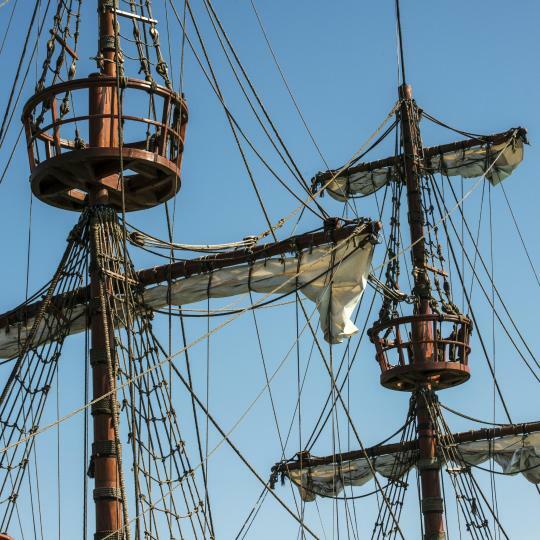 Each year from June to September, pirate history is celebrated at Stoertebeker Festival. Ralswiek open-air theatre hosts a play and nightly fireworks display. All aboard the Rasender Roland, affectionately called the“Rushing Roland”. 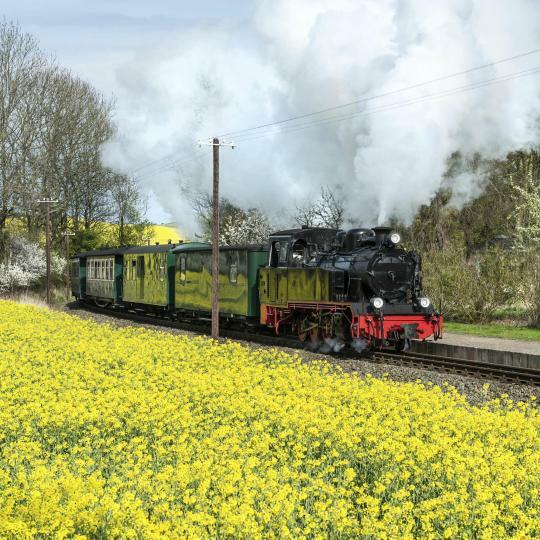 This endearing steam-powered railway has been connecting many of Rügen’s attractions since 1895. 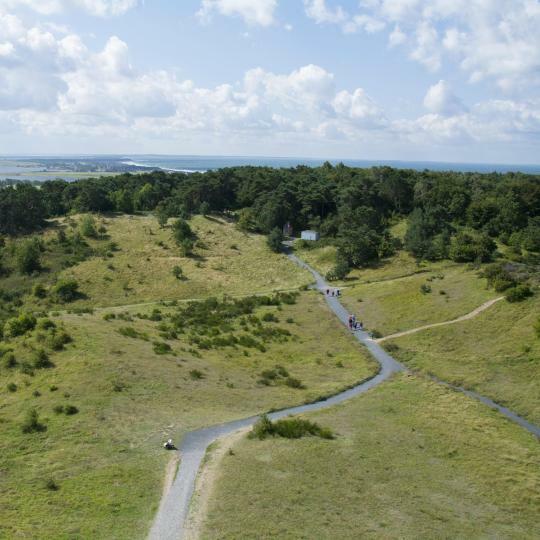 Hiddensee Island’s open countryside, unspoiled beaches and pretty dwellings are best explored on two wheels. Renting a bike is the best way to explore this car-free island. Prora Holiday Camp was planned by Hitler in the 1930s as a resort for holidaying workers. 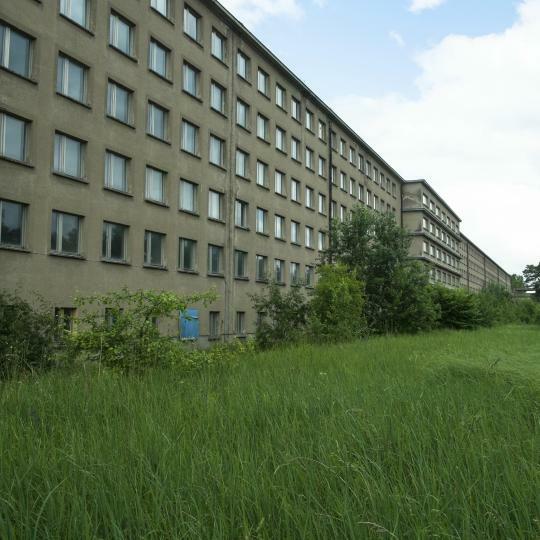 Today the vacant buildings stand as an eerie testament to Third Reich architecture. Excellent breakfast, while you can sit outside. Friendly staff, little invisible. Large building, have to walk extensively to get from one end to an other. Beach and kind of forrest-promenade, from where you can walk to the town (about 10 min. walk) can be reached by stairs or by elevator. We were there in May, it was still quiet. Tennis court and play-ground opposite of the beach, with a bar and a terras (not open yet in May). The swimming pool was huge. Good fitness room, suitable for a small workout. Enough weights and dumbells. Area around the hotel is mainly park and trees, very relaxing and quiet, with lots of singing birds. We had a dog with us. This meant extra 20 euros per day service costs. Parking outside is extra also. The staff are first class remembering our preferences, concerned to ensure that they deliver an outstanding personalised experience and just lovely human beings who clearly enjoy working together as a team. Breakfast and restaurant meals are tasty and well presented and they deserve their best hotel award. It was a very nice family friendly hotel with lots of activities. We used the swimingpool, gameroom, restaurants and playground. We also enjoyed some nice walks along the beach and in the forrest outside the hotel. I do recomend it and would like to come back. I stay here a couple of times a month for work, I keep coming back because it's comfortable, the foods great, it's got good facilities and wifi and the staff are friendly. It's also just a short walk from the train station which is handy. What you would expect of a four star hotel with ample on site parking.Friendly and helpful staff at reception and throughout the hotel.The breakfast buffet was well presented with many choices. The hotel looks great and is located at a beautiful location. The staff was friendly and the room looked really good. Shower was great, and soap etc was provided. I asked for extra things and they well waiting. It's my second time there and it's really clean. Also, recycling bins available in the garage. It was a very clean house boat, all amenities were there. Details such as dishwasher tabs were at the propperty. Staff was friendly and thoughtful. The hotel location was great and and the staff very friendly. Spa area was quite comfortable and perfect to relax after long day. Greatest breakfast on the iceland! Good sleeping in very nice and big room, with perfect nature view. Kind and pleasent staff! 1. Food was excellent and fresh all the time. 2. SPA services are really nice and amazingly clean spaces inside. It was an amazing stay with the hostel. They smashed it with very friendly staffs. Everything was greate. Very kind staff. I recommend it hotel as hotel to family. Nice, friendly, and helpful staff. Everything was up to our expectations.